ABSTRACT: This article is going to analyse the phenomenon of local food movement and thedifferences with the value chain model, which is the prevailing one and whose philosophyinspirits public policies. Local food movement has had a big opportunity through the Net,which allows it to be spread from the local spot to the rest of the world. Through ‘L’Arbella’analysis, a very small project developed in the Catalan Pyrenees, which has been studied forthis article, we are able to understand how the new model works and which the ICT functionis. 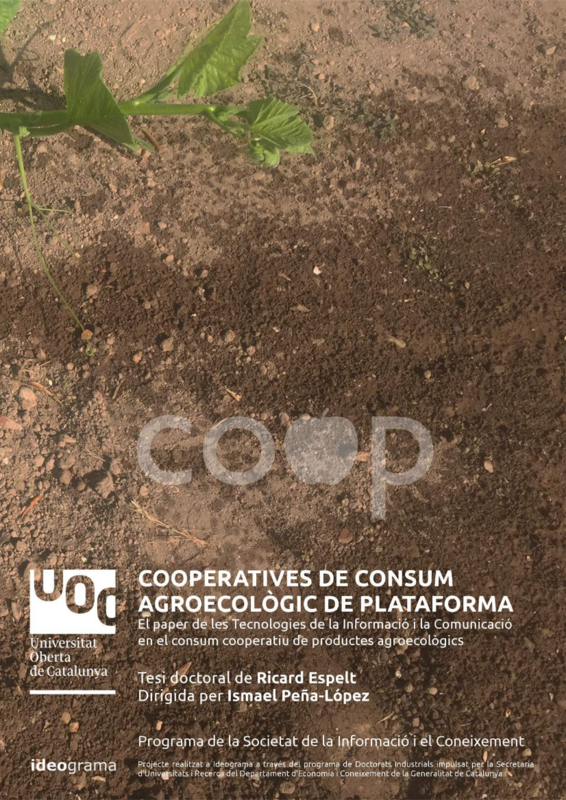 The example permits to show one of the tools this movement has developed(consumption group) to create a new food sense, far from chain value model. This isgrassroots demonstration allowing to develop public policies focused on the current reachingconsumer habits and a new group of stakeholders. This article is going to analyse the phenomenon of local food movement and the differences with the value chain model, which is the prevailing one and whose philosophy inspirits public policies. Local food movement has had a big opportunity through the Net, which allows it to be spread from the local spot to the rest of the world. Through ‘L’Arbella’ analysis, a very small project developed in the Catalan Pyrenees, which has been studied for this article, we are able to understand how the new model works and which the ICT function is. The example permits to show one of the tools this movement has developed (consumption group) to create a new food sense, far from chain value model. This is grassroots demonstration allowing to develop public policies focused on the current reaching consumer habits and a new group of stakeholders.